Putting that to one side the week and a half since my last post started out fairly quiet, but burst into life on Friday when Henry arrived to spend half term with us. It’s good to see him, and he and Jo have enjoyed spending some quality time together before Archie and Flossie finished for their half term holiday today. 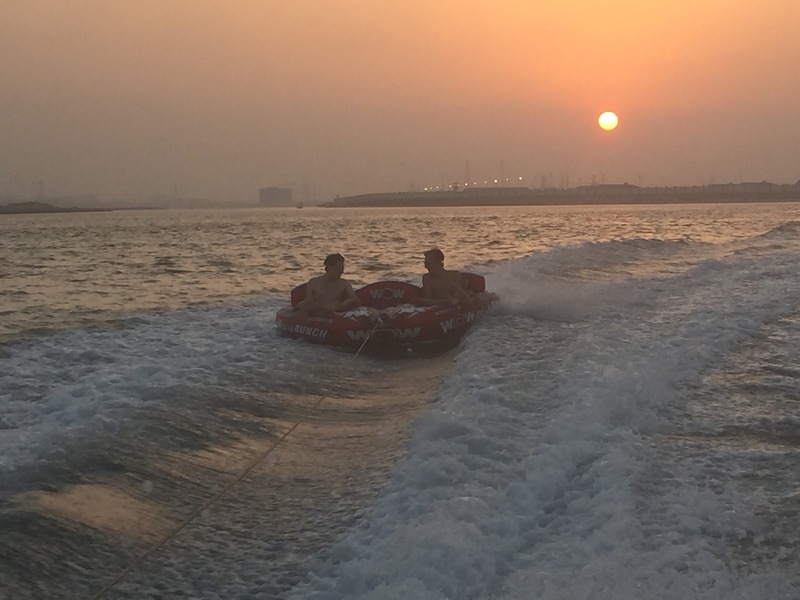 We took him and a couple of friends out on the boat at the weekend. They seemed to enjoy being bounced around on the donut for a few miles, and despite my best efforts I’m sorry to say I didn’t manage to get them to fall off. I didn’t do badly though given that the following day Henry had a sore back and his friend was off school with “whiplash and sun stroke”. Teenagers today! Last Thursday evening saw another concert at the du Arena. This time it was the Dave Matthews Band, and having endured (her words, not mine) Bon Jovi last week, Jo decided to give this one a miss. She missed a treat, as did many other people given the fairly small crowd. It was one of the best concerts I have been to in Abu Dhabi. That said, I think October is a little too early to start concert season, it is still very hot and the humidity is awful. In his review of the concert the newspaper reporter said he passed a number of females on his way out who were being treated for heat exhaustion. Given the state of some of the people I saw, I’m not so sure that was the cause. Mind you at almost ten pounds a pint maybe it was. Prior to Henry’s arrival Jo and I spent our evenings watching Doctor Foster to see what all the fuss has been about. We still have one episode to go but are certainly enjoying it. It’s particularly good to see Suranne Jones playing a different kind of role for a change. Last night we went with Henry to see The Martian, the first grown up film Jo and I have seen at the cinema for as long as we can remember. We both thought it was excellent. The final exciting news is that we have booked a holiday to India over New Year, continuing our promise to ourselves to use the opportunity of living here to explore nearby countries that we probably wouldn’t make it to otherwise. India is somewhere Jo has wanted to visit for a long time. Flights, accommodation and a couple of trips are booked. Next are train tickets which seem to be quite complicated to do from outside the country. Flossie’s topic in the second half of this term is Incredible India, so she should be an expert tour guide by the time we go. In closing another week has passed without me getting back to eating healthily and having some exercise. I seem to have a mental block at the moment. This week maybe. Once again, thanks for reading, and I’ll see you next week (or earlier if I pluck up the courage to publish the other post). 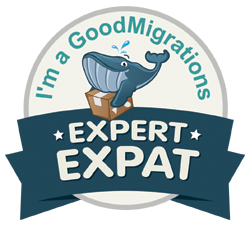 IF YOU’VE ENJOYED READING THIS POST WHY NOT LIKE THE QUANTIFIED EXPAT’S PAGE ON FACEBOOK? JUST CLICK ON THE LINK ON THE RIGHT HAND SIDE OF THIS PAGE. I WOULD BE VERY GRATEFUL. Enjoyed the blog. Look forward to hearing of the “administrative tasks” when we Skype!